YOU don't have to be a rocket scientist to work out it was a bit lumpy outside last week. Due to some solid swells and strong northerlies, most offshore anglers stayed in the straits or in the bay. The weather forecast is looking a bit brighter this week, so hopefully we will be able to get out. 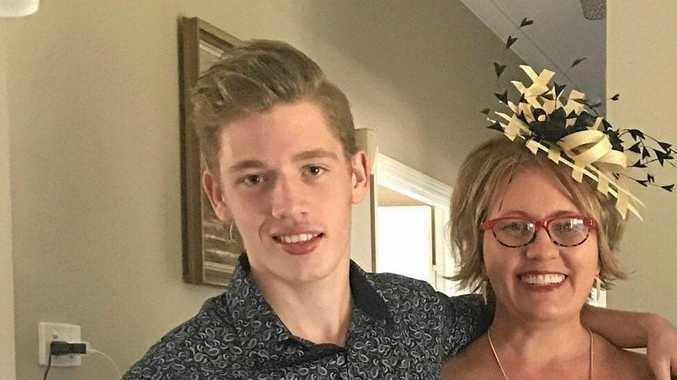 Those who got out of Noosa tended to stay close at Laguna Bay, Jew Shoal and Sunshine Reef, fished with the hit-and-run technique. There are some solid long-tail tuna around, with fish over the metre not uncommon. Mackerel are still around and seem to like those floating baits. Live baits have been great out on Sunshine, with some nice trout, sweetlip and snapper all taken. For lure anglers, fast-moving slugs and 5-inch plastics cast at the edges of the tuna schools have been working well. If you are bouncing the bottom, heavily-scented soft plastics and micro jigs have been doing the trick. Some favourites have been the Scented Jerk Shads in the 7-inch from Z-Man and the Flop Jigs from Entice. TIN Can has been going off, with plenty of trevally on the incoming tide. Keep a close eye out for surface activity as the bait is beaten up by larger trevally following them in on the bigger new moon tides. 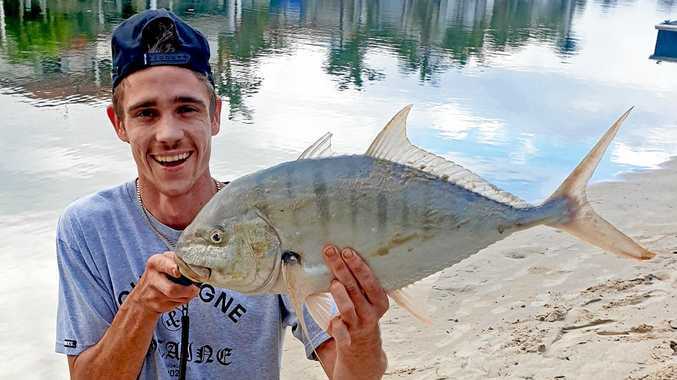 Giant, big eye and golden trevally have been accounted for, casting larger poppers like the Gsplash in the 80mm size. Plastics at a steady retrieve have also picked up some nice fish. The night fish have also been strong on bait of small pilchards and prawns as the bigger tide is in the evening. After the fresh we had a week or so back, plenty of crabs have been up and walking, setting your pots as deep as possible and using good bait like fresh mullet should see a result. 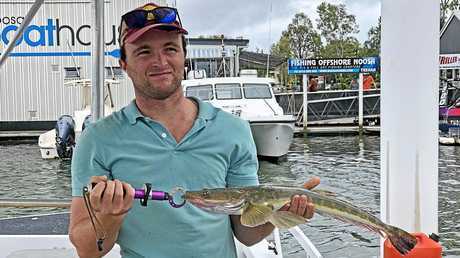 Whiting have also been plentiful around Alligator Creek with the run-in tide seeming to be productive, soldier crabs have been the outstanding bait. Large flathead have also been on the chew with the start of the run-out tide seeming to be the time to target a lizard, soft plastics in a prawn profile have been working very well. There have been quite a few reports of prawns around River Heads. ON THE beach the northerlies were a bit of a pain last week but with some great conditions this week there were some great fish accounted for. The night anglers had a fine time and with the bigger tide and the new moon everybody was thinking jew and they weren't disappointed, with some good fish coming from the beaches. There were plenty on offer but the size was a little small and a lot were just under legal. Fishing Teewah to Double Island was where most of the action came from with plenty of fish taken on quality squid, good pilchards and fresh mullet strip baits. Dart numbers have also been good, with plenty of smaller fish on offer and larger fish around the top of the tide. Whiting have been good with some nice elbow slappers from Rainbow and Inskip. Freshly pulled live beach worms or live yabbies have been the gun baits. 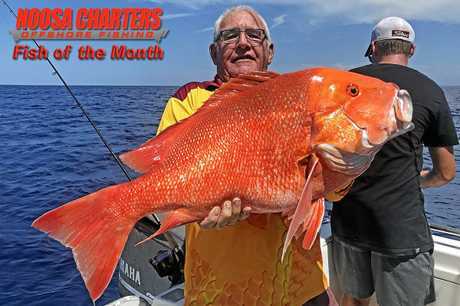 For up-to-date reports, visit fishing noosa.com.au. 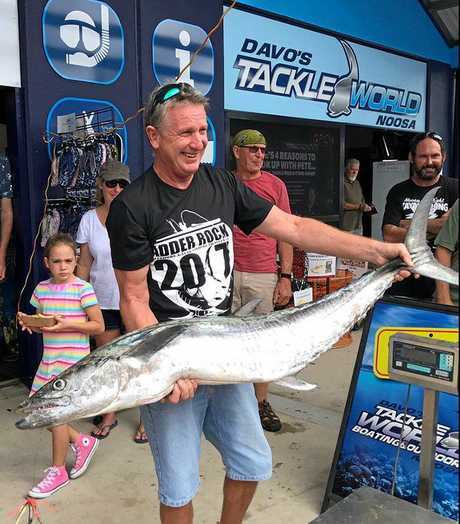 Drop into Davo's Tackle World and Davo's Boating and Outdoor in Noosa, and Davo's Northshore Bait & Tackle at Marcoola for all the right equipment, bait and advice to get you catching.